1800.00 per container plus shipping. 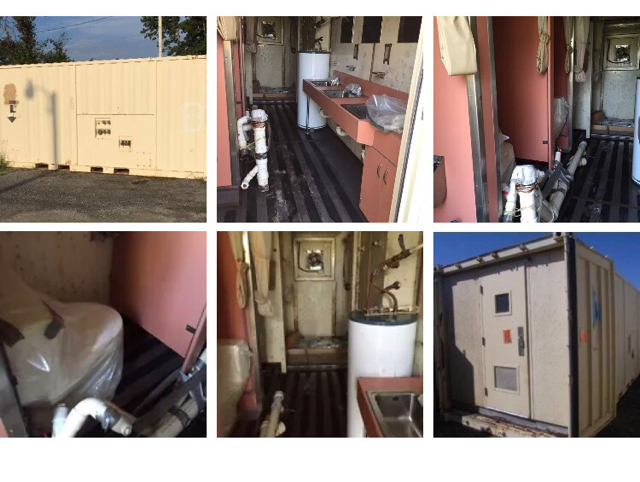 Containers are in good shape Each have 3 toilets, 3 sinks, 3 shower heads, hot water heater, lights, heater, exhaust fan. Completely wired to panel box all original wiring and plumbed to outside. We will help with shipping if needed, if not able to pick up with rollback will be a 400.00 fee to rent equipment to load. Glad to get shipping quotes we have 5 available and 2 will fit on flatbed tractor trailer.